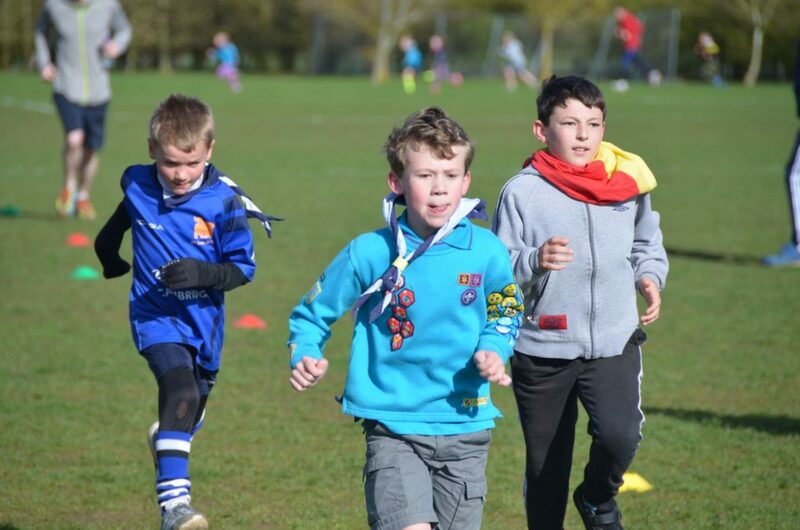 On 17th March, sixty-five Explorers, Scouts, Cubs and Beavers from Cromwell District came together at Huntingdon’s Jubilee junior parkrun for a ‘Run In Your Necker Day’. 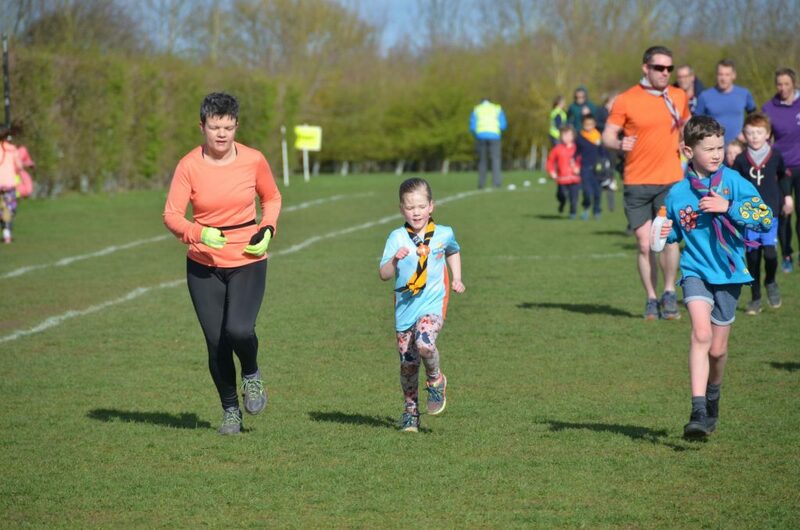 For anyone unfamiliar with it, junior parkrun is a weekly, free, timed 2km run for young people between the ages of 4 and 14. 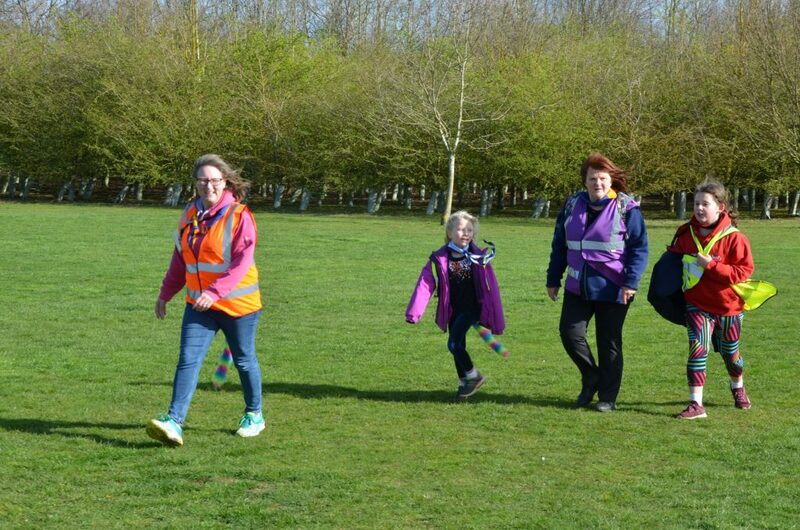 Eleven further members of Cromwell District volunteered at the event, including two Young Leaders, and some other adult leaders ran with their Groups. We even had Groups from outside the District attend (Chatteris, Over and Buckden & Southoe). 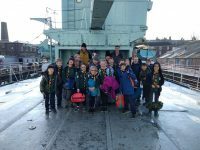 Despite the very cold wind, there were plenty of smiles to be seen! Georgie Godby (BSL at 1st Somersham) wears a dual hat as a member of the Jubilee junior parkrun core team, which is what gave her the idea originally. In the absence of any contradictory statistics, we are claiming this as a record attendance at a junior parkrun by Scouts. We hope to do it again next year and get an even bigger turnout.